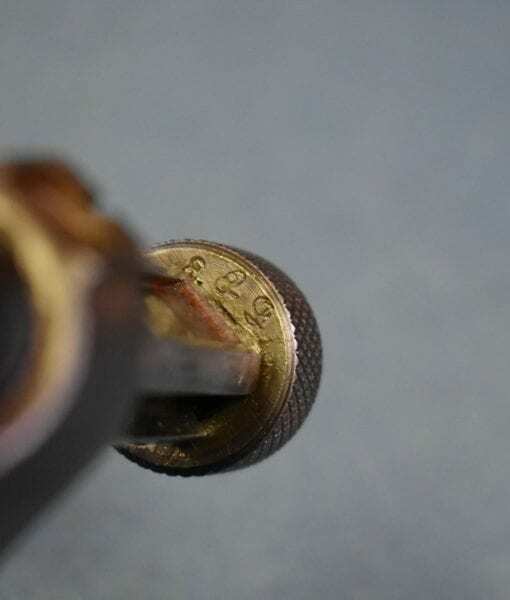 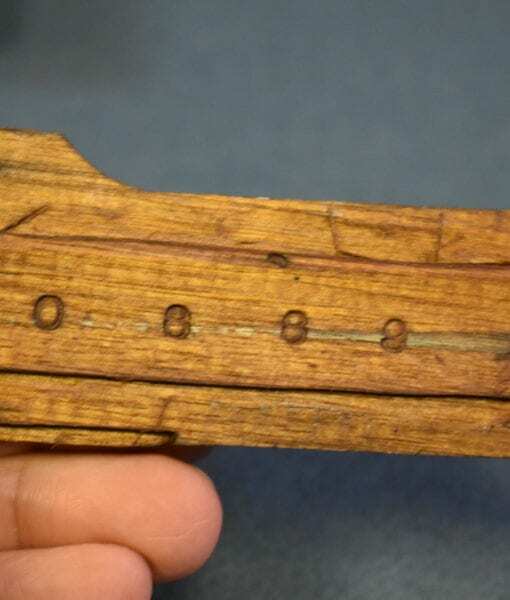 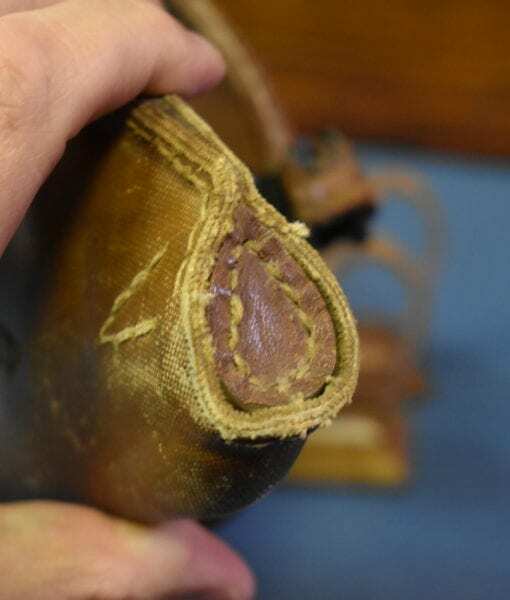 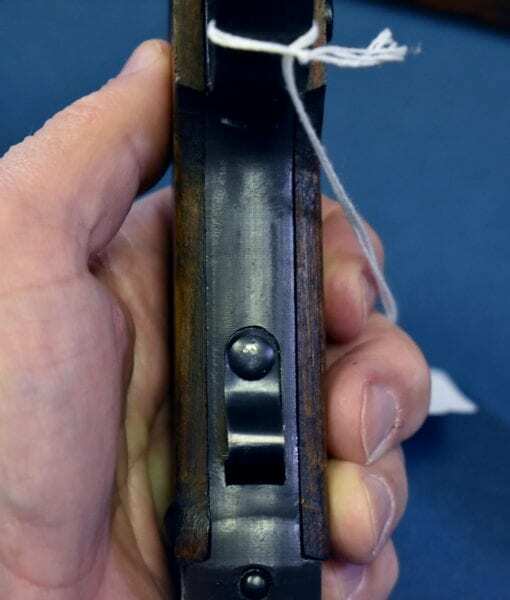 END OF WAR 20.5 date JAPANESE TYPE 14 NAMBU PISTOL……… MAY 1945………2 MATCHING MAGs……MINT!!!! 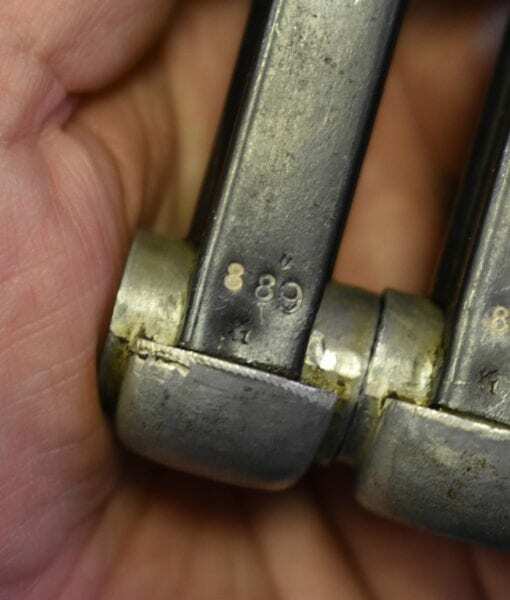 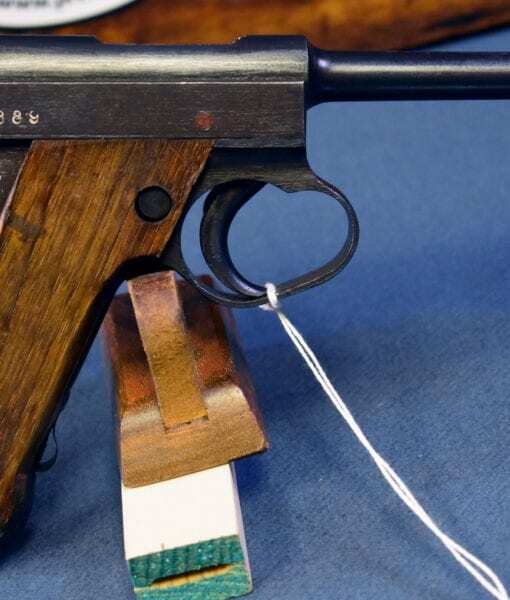 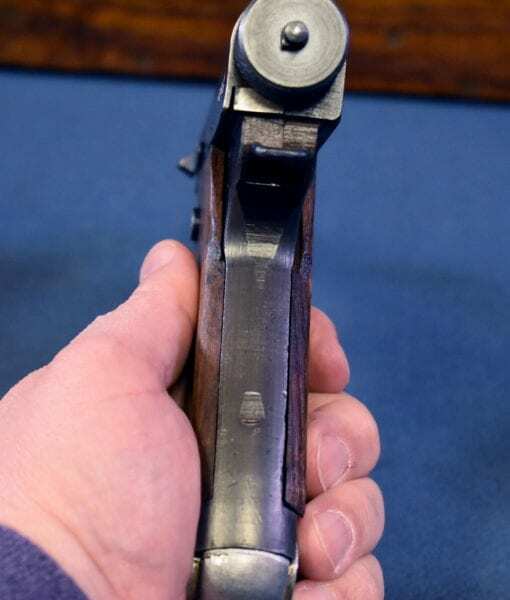 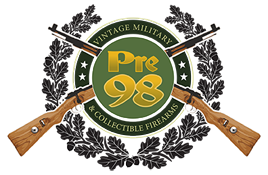 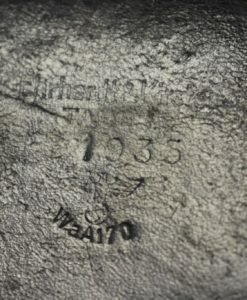 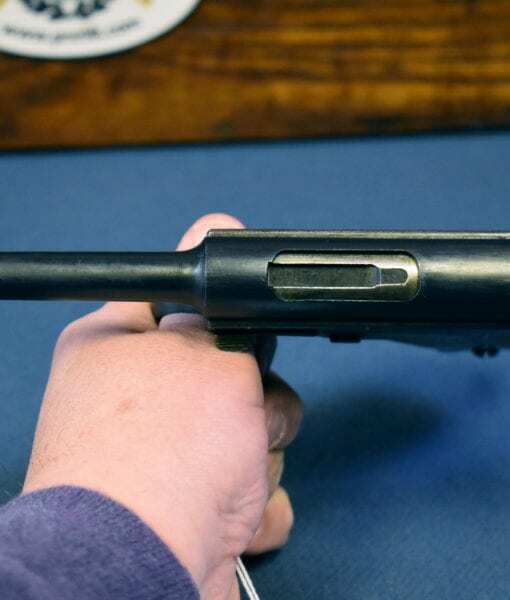 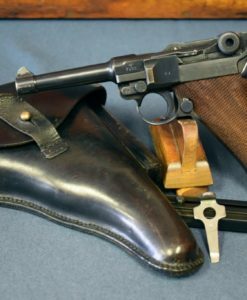 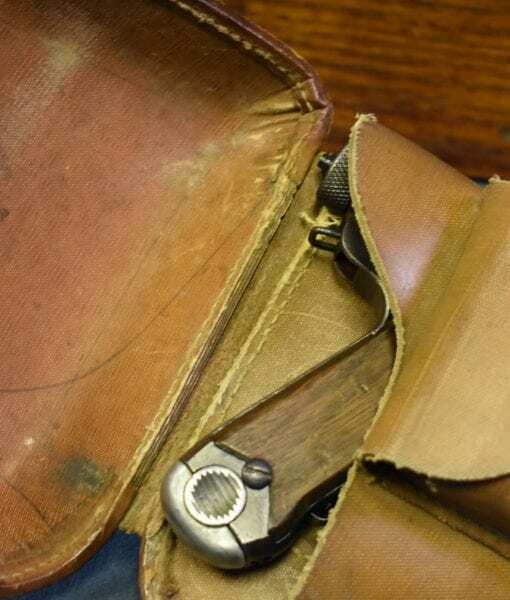 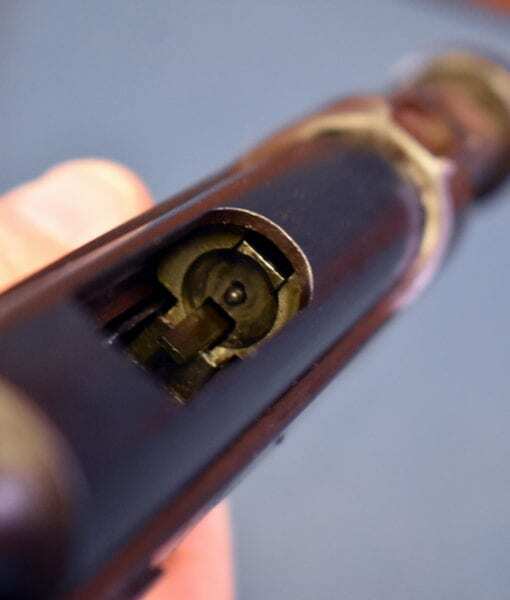 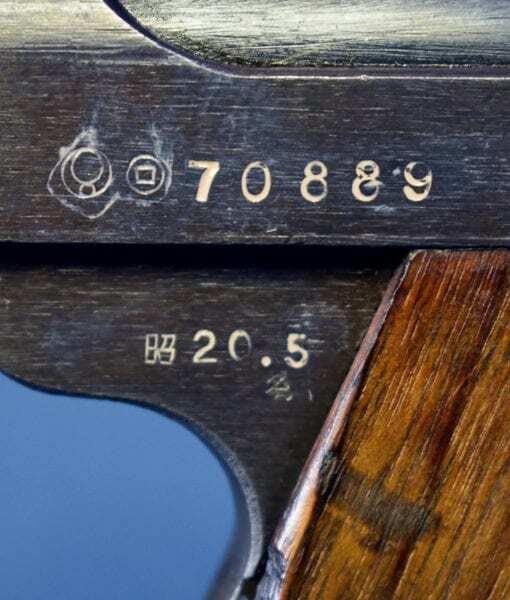 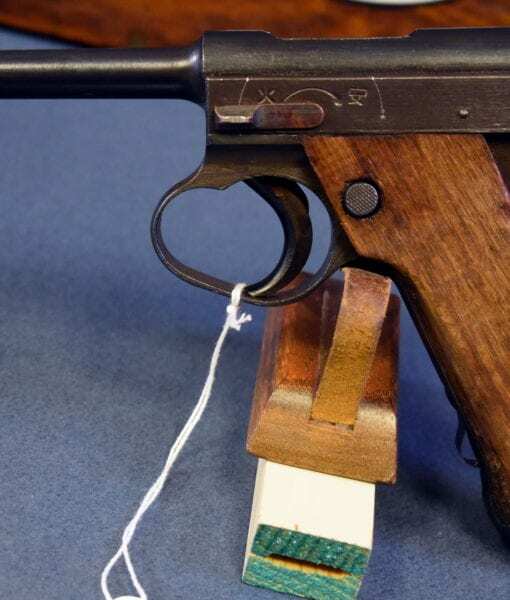 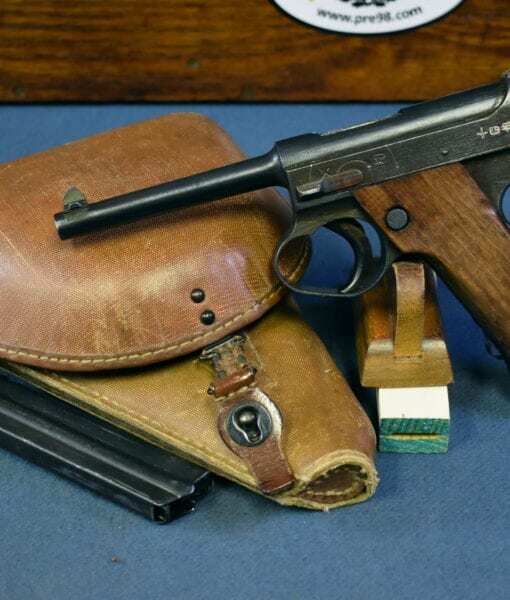 In 98% late war rough condition we have a very hard to find May 1945 production Type 14 Nambu pistol with both of the Factory original matching numbered magazines. 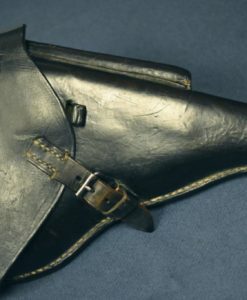 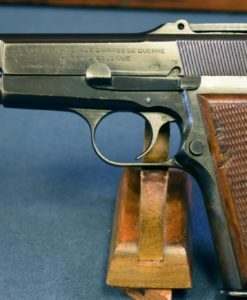 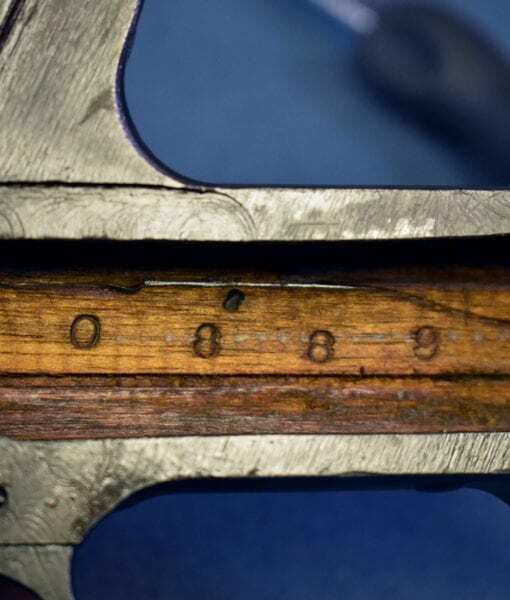 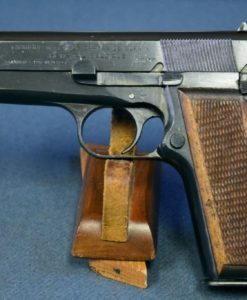 This pistol was made just three months before the end of the war, and it has the late features such as the slab sided grips. 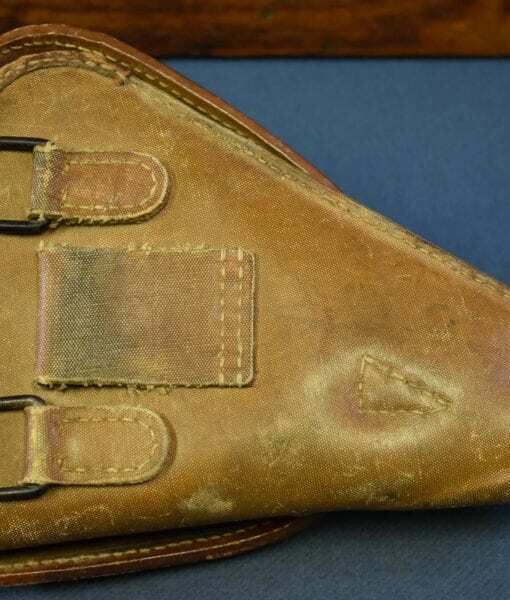 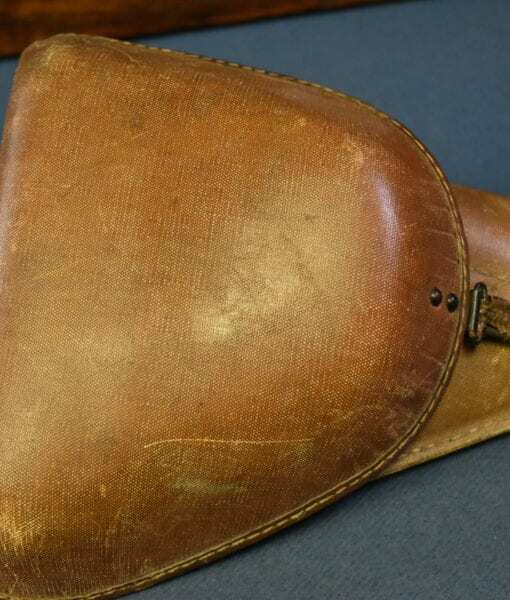 It also comes with a nice canvas holster as well. 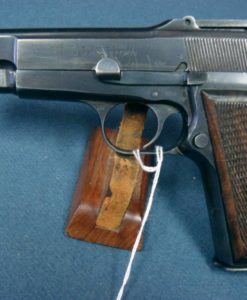 Very late date type 14 pistols such as this are extremely desirable to Japanese collectors and to find one that still has both of the origianal magazines is a significant score.